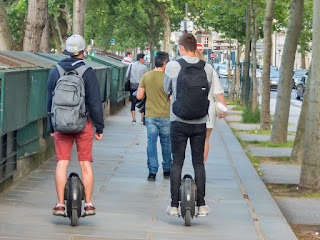 I guess these things have been around for a while now, but the first time I'd ever seen a Segway Ninebot One E + was in Paris where I saw quite a few. They seemed to be popular among college students as a way to get around. Way cool.